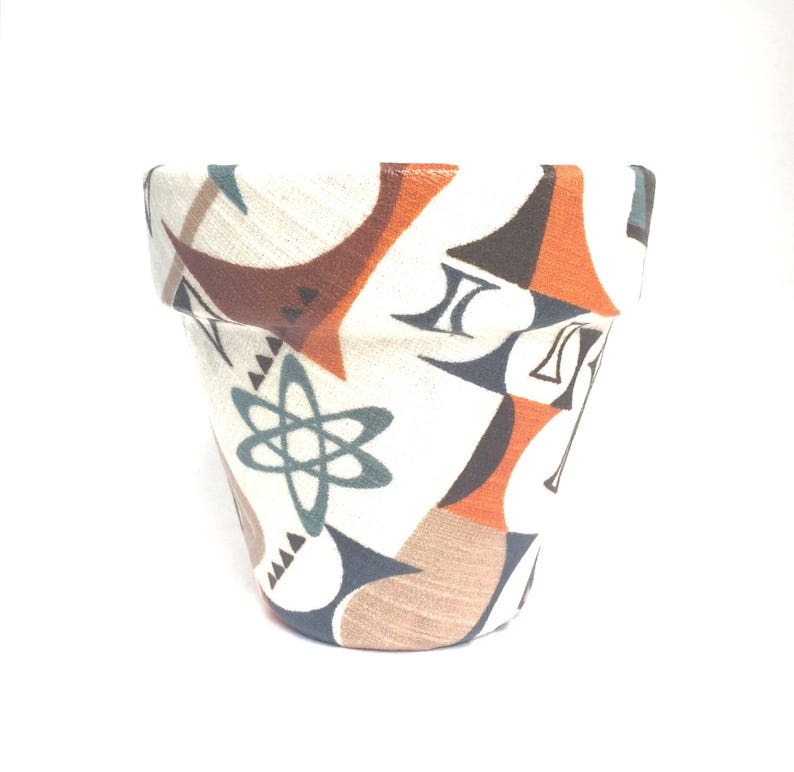 This is a fabric-wrapped terracotta pot that has been sealed inside and out, giving it the appearance of a beautifully painted pot and protecting it against the elements. A single piece of fabric is used, so only one seam is visible on the outside of the pot. All pots are sealed inside and out to protect from water, are very durable, and should last for years. Certain fabrics may fade if exposed to direct sunlight over a period of time, so it’s recommended that you keep your Sasswatch pot indoors and/or away from intense sunlight. Sasswatch pots can hold a variety of other items besides plants... be creative! If you’re looking for a specific theme or color scheme please let me know. I have many additional fabrics to choose from, and if I don’t have what you’re looking for, I can try locating a fabric to meet your needs. Most designs can be made into 4”, 6” and 8” pots. Please see Shop Policies for payment\/shipping information.